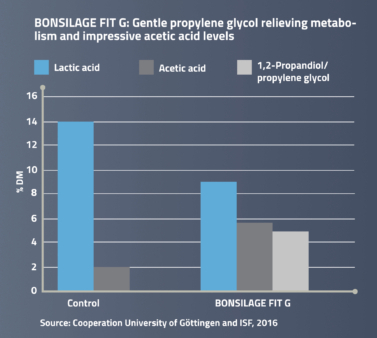 The special combination of homofermentative and heterofermentative lactic acid bacteria (LAB) strains ensures specially adapted fermentation pattern of lactic acid, acetic acid and propylene glycol in energy-rich grass silages. This promotes the metabolism and fitness of dairy cattle and reduces the risk of ketosis and acidosis. 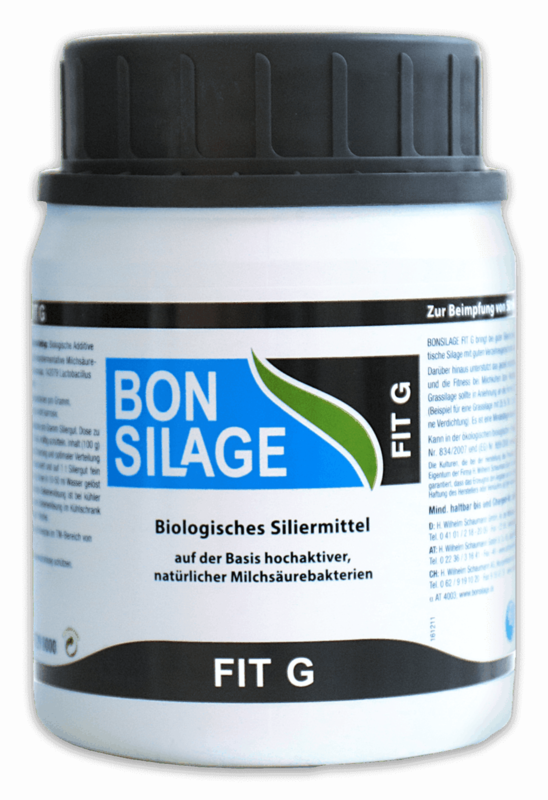 Good digestibility, palatability and protein quality are the result of the homofermentative early fermentation phase during ensiling. The high L. buchneri activity prevents reheating and improves the aerobic stability. 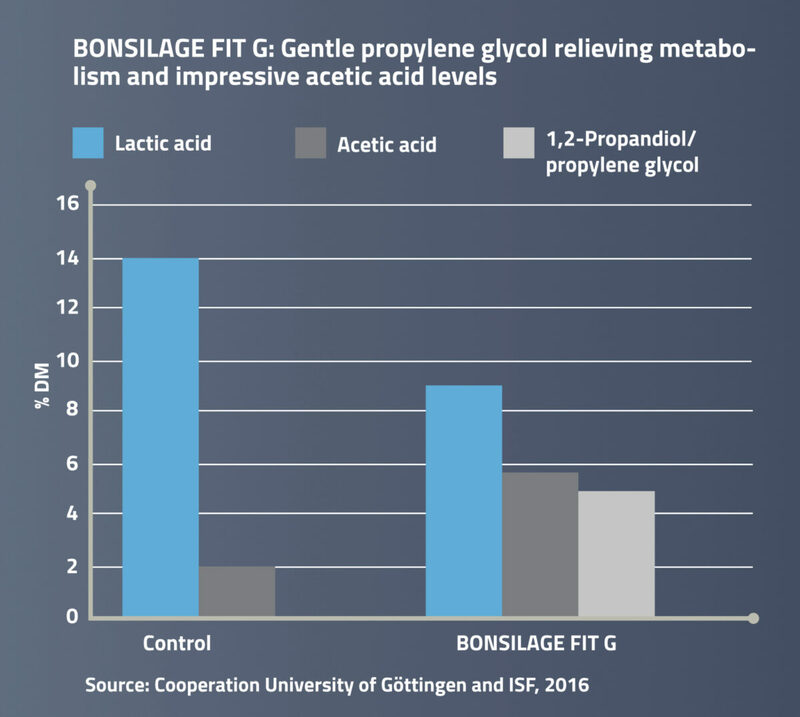 BONSILAGE FIT G forms propylene glycol and improves cow fitness.